Our product range includes a wide range of absolute black granite slabs and indian statuario marble. 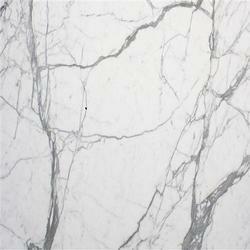 Our esteemed customers can avail from a collection of graciously designed Indian Statuario Marble. Our designers are immensely skilled in presenting designs of beautiful quality. We have installed latest machinery that assists us in incorporating uniqueness in the product. These marbles are apt to be used in houses as well commercial spaces.